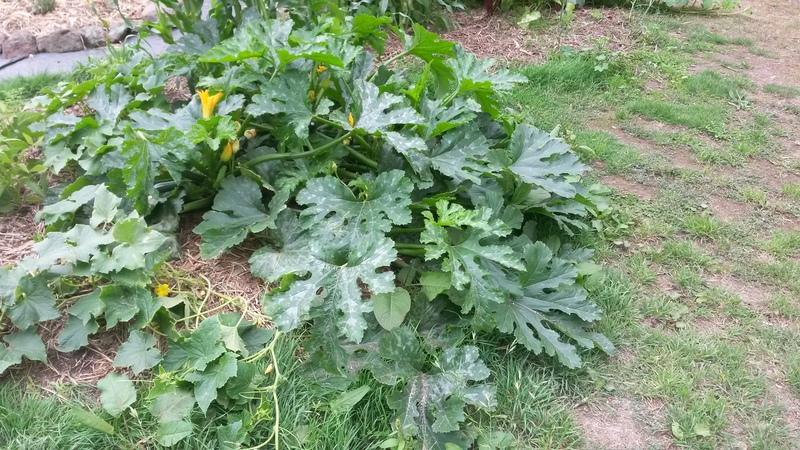 I grew a wheelbarrow load of butternut pumpkins this year. I was not expecting such a haul, after the rabbits ate most of my seedlings, but one intrepid plant put out many vines and blessed me with about half a dozen nice big fruit. In another garden bed I actually managed to grow pumpkins from seed for the first time ever. 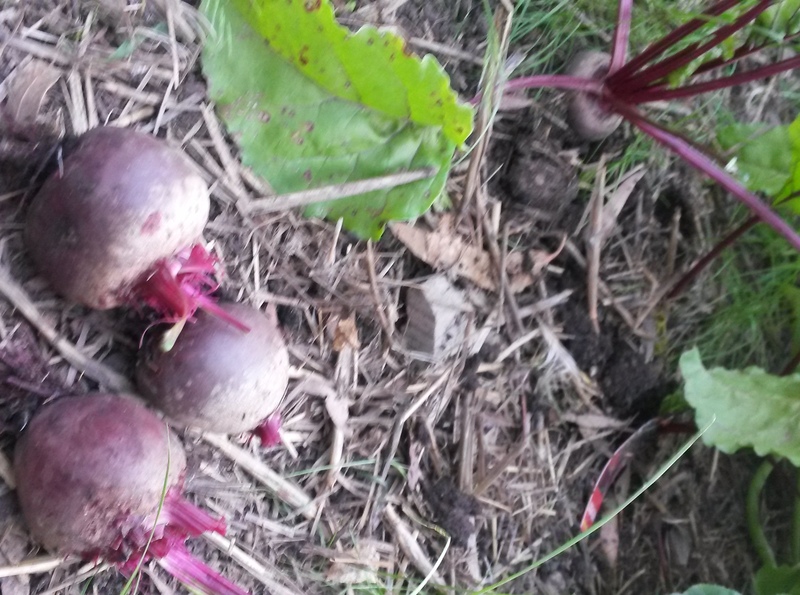 These were also butternuts, and grew unmolested among the last of the lettuce and beetroot plants from last spring. These gave me dozens of smaller fruit. Butternuts don’t keep as well as the thicker-skinned varieties, but they are a lot easier to cut and peel. I often serve up steamed or roasted butternut pumpkin with the skin left on because it is so thin and soft there is little need to remove it. So we’ve been having steamed pumpkin with pretty much every meal, but the real beauty of home-grown pumpkin lies in the flavour it gives to soup. I have a fear that my soups will be too bland or too thin, so I like to really jazz my vegie soups up. And with weeks of pumpkin soup ahead of us, I knew that I would have to make a bit of an effort and think outside the box to keep us going back to the fridge and freezer for pumpkin soup lunch day after day. When I make soup, the first thing I think about is the stock. I hate using bought stock, so I need an alternative base. Some people like their vegetable soups to be all-vegetable, but I think a meat stock base to a pumpkin soup can really give the end result a bit of substance. I made the first soup not long after I roasted our first home-grown duck. I boiled the frame with some herbs, onion and garlic for a few hours. The next day I strained the stock, added a large cut pumpkin and a couple of big carrots. Soup number one was just a little bit different, thanks to the duck stock. I had kept the frame from the Christmas turkey in the freezer, pretty much forgotten about, until I went to make the second pumpkin soup and had an ‘aha!’ moment. Second soup became turkey stock and pumpkin, with some fresh coriander and a couple of chili from my cousin Jess’s garden. It had a bit of bite to set it apart from the regular pumpkin soup. For the next batch I found some lamb necks left over from the sheep we had butchered last year. They got the royal stock treatment as well, boiled for several hours with onion, garlic and herbs. I added a couple of sweet potato to the pumpkin and finished it off with a good bit of home-grown garlic. Being soup season, there are plenty of ham hocks and bacon bones available at the moment. Most years I would do a pea and ham soup, but this year with our pumpkin haul the logical step seemed to be bacon flavoured pumpkin soup. I made what was effectively bacon stock with some smoked pork bones and used this to cook the pumpkin in. I added a couple of turnips to give a fluffy, silky texture, confident that the bacon stock would provide plenty of flavour, which it did. This was the one the kids liked best. Last night we had a roast chicken, and since the oven was on I took the opportunity to roast up a whole lot of pumpkin, liberally sprinkled with slices of garlic. The chicken frame became the stock base, and now I have roasted pumpkin and garlic soup for this week. So where to next..? Someone suggested curry, and I would love to do a fragrant, spicy all-vegetable soup and let the spices and the sweetness of the pumpkin do the talking. Trying to keep pumpkin soup new and exciting has been a great challenge so far, and a great way to learn about combining flavours and creating themes. I think the lamb and sweet potato has been my favourite so far. I’m down to about 8 fairly small pumpkins so my run will end soon, but it has been fun and I’ve had the whole family taking soup to work and school for lunch in the past few weeks. Making the stock and then making the soup does take a couple of days, but it’s not terribly labour-intensive because most of the time it’s all just on the stove simmering away and smelling amazing. So this soup season consider trying something a little different and showcase the humble pumpkin with a new theme to create a new taste. All my life up until about six weeks ago, beetroot was that vinegar-smelling stuff in a can that only weirdos, including my younger child, actually liked. Callum loves beetroot. Back in our McDonalds-eating days, he would order a McOz with extra beetroot. He gets a tin of beetroot in his Christmas stocking. He freaking loves beetroot. So I decided to grow him some. I got a punnet of seedlings and planted them in groups of four or five, expecting most of them to die of transplant stress. They all lived. I separated them out again. They still all lived. I thought ‘what the hell am I going to do with all this beetroot?’. My grand plan of preserving it in slices, reminiscent of the canned stuff, suffered an irredeemable setback when I Googled ‘beetroot recipes’ and discovered the huge world of amazing things you can make from beetroot. It started with roasted beetroot hummus dip. 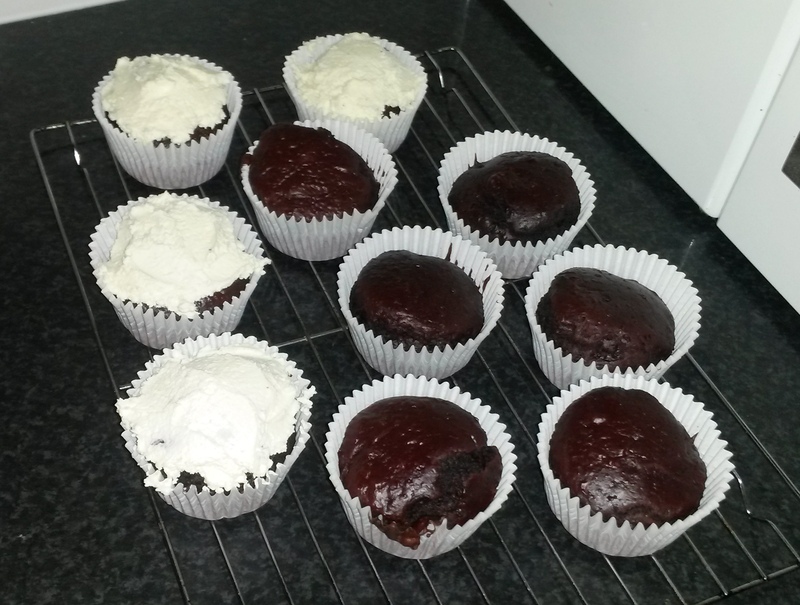 Progressed through beetroot soup to beetroot relish and red velvet beetroot muffins. There are three left from that original planting, and none have been sliced up and preserved in jars. I just put in another 36 seedlings. Next trick is to grow them from seed. Beetroot, un-pickled and un-canned, is sweet and slightly nutty in flavour. While it is fun to cook with, it does leave a trail of reddish-purple juice all over the kitchen. Roasted in olive oil, it makes a great addition to your ordinary roast vegetables, or you can then whiz it up with chickpeas and garlic to make a tasty pink hummus. There are loads of different beetroot soup recipes, or you can freestyle it with some other root vegetables and experiment with spices. This beetroot relish is sweet and goes well with cold meat or in toasted sandwiches with melted cheese. Boil beetroot for 20 minutes or until just tender. Rinse under cold water. Wearing rubber gloves, peel and grate the beetroot. Combine onion, apple, sugar, vinegar and cloves in a medium saucepan. Bring to the boil and stir until sugar is dissolved. Simmer for 10 minutes. Add beetroot. Simmer for 45 minutes or until mixture is syrupy. Carefully spoon into hot, sterilised jars and seal. I am always looking for healthy, alternatively-sweetened muffin recipes, and if they include vegetables that is even better. This cupcake recipe is incredibly easy, and goes great with a cream cheese topping. Preheat oven to 170C and line a cupcake tray with 12 paper cases. 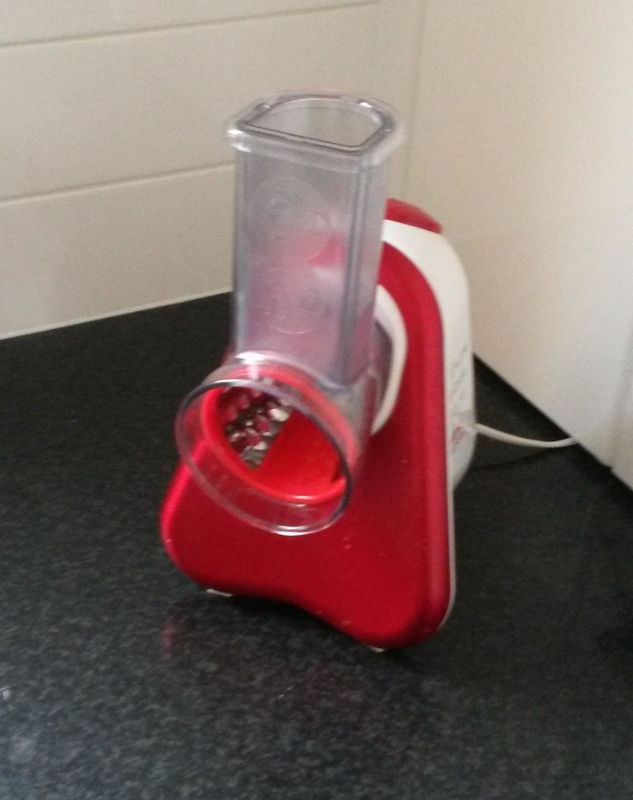 Blend all ingredients together, in blender or with stick mixer, until batter is smooth. Spoon into cupcake cases. Bake for 40 minutes or until skewer inserted comes out clean. Beetroot is the another new favourite that I might never have learned about if I had not grown it. The beauty of it is that it also grows in the cooler months, so I might get some into jars for sandwich topping after all. Or maybe Callum can try some of the relish on his lunch. 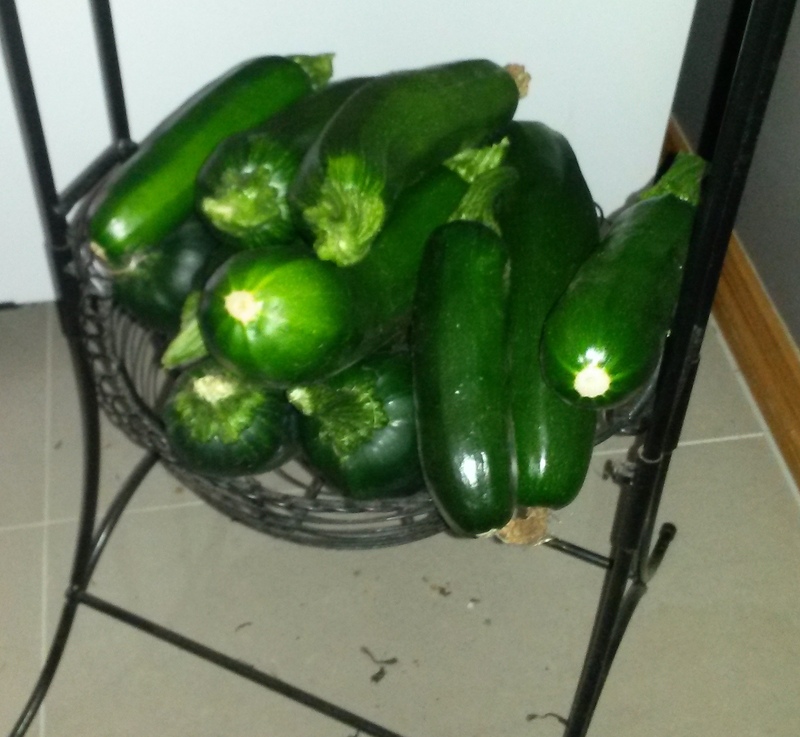 One zucchini plant – plenty for most families. It is the season of zucchini abundance. The great dark green beast that threatens to overflow our vegetable bins and infiltrate every meal we eat for the next month. Visitors are not allowed to leave without taking at least two home with them. And that is without even considering the giant one that you missed picking that is now the size of a medium goat. 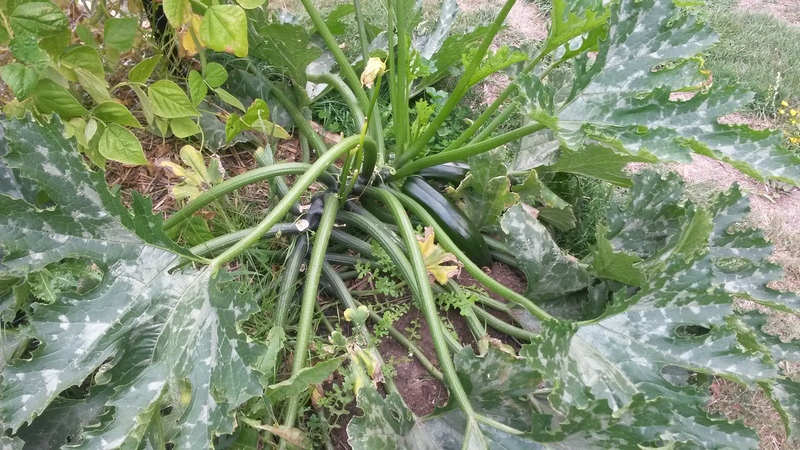 Five zucchini plants – we will NEVER eat all of these! So what are you supposed to actually do with them? The first flush of zucchini sees us excitedly anticipating the return of our favourite condiment – piccalilli. 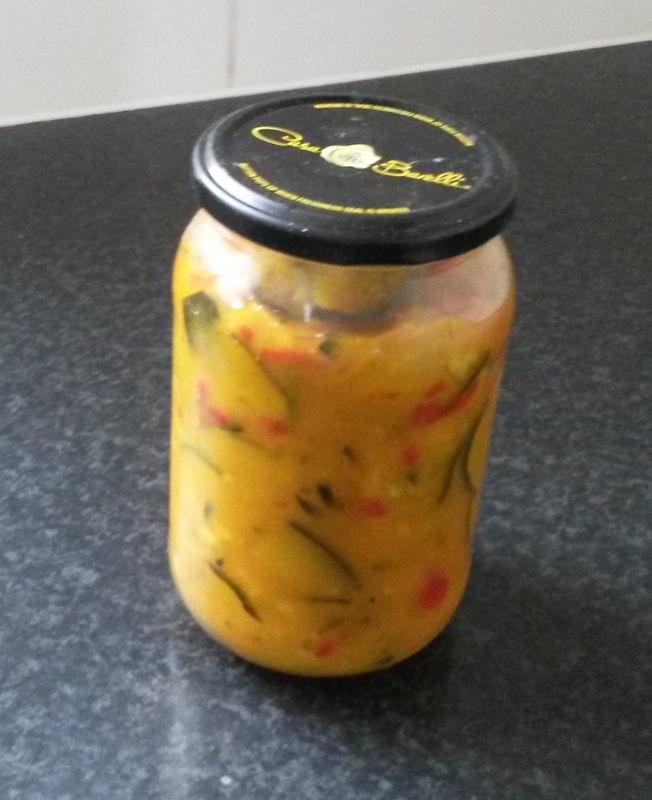 Piccalilli is sweet mustard pickles. Some people make it with cauliflower, but I make it with zucchini. It uses 1kg of zucchini for a single batch, contains a good whack of tumeric, which is incredibly good for you, and goes great on toast or crackers with goat cheese. I use this recipe from Highland Heritage Farm. Yes, that is my review at the end of the recipe. Zucchini slice is healthy, handy for work lunches and can be customised to your particular tastes. It has the added bonus of using up some of those eggs that you are probably drowning in at the moment if you have poultry. The basis is a whole lot of grated zucchini, 1/4 cup of olive oil, 1/2 to 1 cup of self raising flour, about half a dozen beaten eggs and whatever other vegies you want to add. Most recipes call for onion, but you may find that the flavour takes over. You could get around this by frying the onion off before adding it to the mix. I like to add a couple of grated carrots and a decent-sized sweet potato, but you could use squash, potatoes, turnips, whatever is overflowing your vegie drawer and is suitable for grating. If you are that way inclined you can also put some grated cheddar or tasty cheese in. Mix it all up, add salt and pepper to taste, and pour it into a lasagne dish. Bake at 180 degrees until the egg is cooked and the whole thing is firm, around 45 minutes. The problem with all that grating is that if you are anything like me, there will be blood. So I bought this nifty device, which we simply call Tefal. It may slightly resemble a baggy scrotum, but it slices, grates and crushes like a champ. It has a front-row seat in my gadget cupboard. And it saves me a fortune in Band-Aids. Zucchini also makes an excellent stealth vegetable. 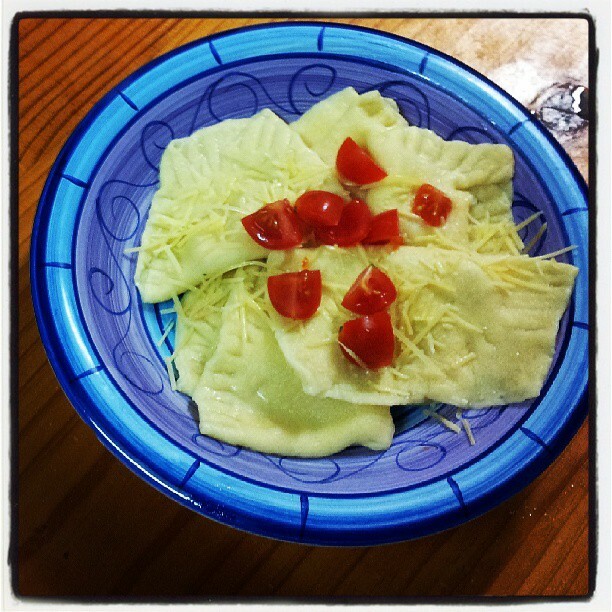 You know, the vegies your kids eat when they don’t know they are eating vegies. I believe in full disclosure when it comes to food, but you can add grated zucchini to things like spaghetti sauce, soup, meatloaf and cake. It brings moisture and density to recipes. I discovered these awesome chocolate zucchini muffins. Sweetened with honey, they are moist and fluffy and super chocolatey. The zucchini disappears into the cake during baking, so you won’t even know you are eating vegetables, and your kids won’t believe you even if you do tell them. Sift and mix the dry ingredients together in a bowl. In another bowl mix the honey, oil, vanilla and eggs until combined. Mix in the zucchini. Add the dry ingredients to the wet ingredients and mix until everything is wet. Do not overmix. Spoon into muffin cases or greased muffin pans. Bake at 180c for about 18 minutes or until cooked through. Makes 10-12. Zucchini is a super versatile, prolific seasonal vegetable. Add strips to stir fry, chunks to curry, use it in place of pasta sheets in lasagne, slice it onto your pizza or hide it in your sweets. Once you have got through it all, you don’t have to eat it for about eight months. But by the time summer comes around again you will be impatiently waiting for that first shiny green treasure to be ready to eat. I’ve been eating refined sugar-free for a while now, and if there is one thing I have learned it is that not all sugar-free recipes are created Equal. Just because a recipe claims to be a sugar-free version of something you love, does not mean it won’t rely on highly processed or artificial sweeteners. Or that it will taste anything like the thing you hope it will taste like. My replacement sugars of choice are maple syrup, honey and stevia powder. Stevia powder is the pick of them, but it is very expensive. It contains hardly any energy and is basically the powdered leaves of a plant. It comes in a few forms, but the volume-boosted measure-for-measure sugar substitutes are the easiest to use. It doesn’t have much of a taste, so it is great in subtle things like iced tea, or in recipes where you don’t want to mess with the liquid content by adding syrup or honey. Maple syrup is great in that you can only really taste it at room temperature, so for sweetening hot drinks or anything you will consume cold the maple-ness won’t be an issue. I mix it into a paste with cocoa to make hot chocolate. It is also good for making ice cream as it will not clash with other flavours you might use and will not crystallise and make your ice cream grainy. Honey is great for baking, and is generally the go-to substitute in muffins and cakes. It does tend to retain its flavour, so keep that in mind when adding it to recipes. White sugar does things in your cooking that most less-processed substitutes are not quite able to replicate. That crunch in your apple crumble. The fluffiness in your muffins. And the ability to sweeten without messing with the flavours. But you can get around all this by trying different sweeteners in different situations. I find maple syrup to be the best sweetener for home made yogurt. The culture did not like the stevia powder and I ended up with runny yogurt, but the maple worked out just like regular sugar. I like yogurt I can stand a spoon up in, and you can achieve this with plenty of milk solids (late lactation/high fat milk, or a top-up of powdered milk) and a tablespoon of maple syrup. I use stevia powder in my iced tea. I make a variety of teas, some with very subtle flavours, and the stevia powder mixes in well and doesn’t interfere with the flavour of the tea. I also use stevia to replace the sugar in things like cheesecake bases and crumble toppings, where you don’t want to add too much moisture. 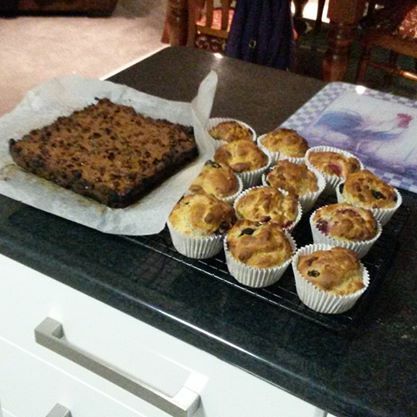 If you are looking for some tried and true sugar-free recipes, here are some of my favourites. 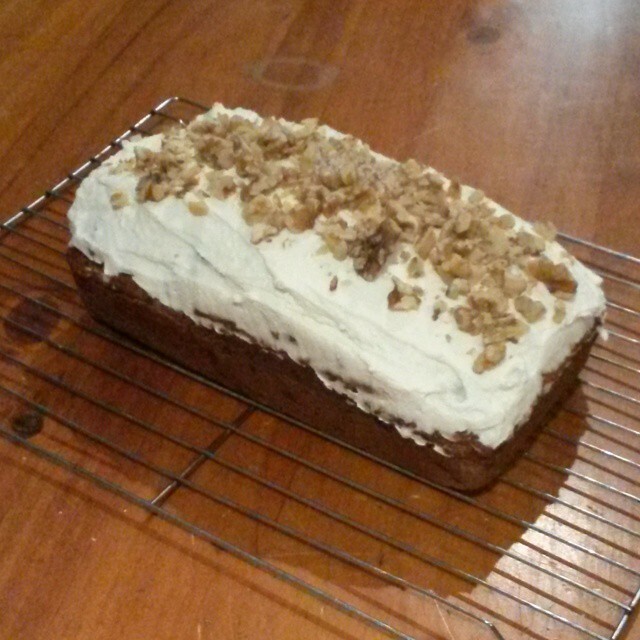 I found a banana cake recipe that is only sweetened by fruit, it gets quite a bread-like crust on it, which softens after a couple of days, but it is very moist and very sweet. I used regular self-raising flour instead of plain wholemeal flour and baking powder. I also found that it took quite a bit longer to cook than 35 minutes. STEP 2 In a mixing bowl, cream the butter and egg with 1 tablespoon of the sifted flour. STEP 3 Beat well, then stir in dates and bananas. STEP 4 Sift flour, baking powder and soda into the bowl. STEP 5 Fold in the remaining flour mixture alternatively with the milk. STEP 6 Spread the mixture into a greased loaf tin and bake for 25-35 minutes. Beat or whisk it all together and spread on top of your banana cake. I topped mine with chopped walnuts. This one is very popular with my family, with visiting kids asking to take a copy of the recipe home with them. Toss apple pieces with flour and sweetener in a mixing bowl. Melt the butter, and stir the egg into the melted butter. Pour butter and egg mix into the apple/flour/sweetener and mix until combined. Press lightly into a greased and lined slice tin or lasagne dish. Bake at 180C for 35 to 40 minutes. This is my favourite muffin recipe, the one that I make a batch of to freeze for my snack at work. Mash bananas. Mix in honey, oil and vanilla. Add dry ingredients and fold in to combine without over-mixing. Gently fold in berries. Today we come to the end of the fascinating social experiment that was Sugar-Free September. As you know, I generally live a very low-sugar life. I use maple syrup and honey as sweeteners. Sugar makes me feel ick if I eat any meaningful amount of it. And super-sweet foods no longer appeal to me. 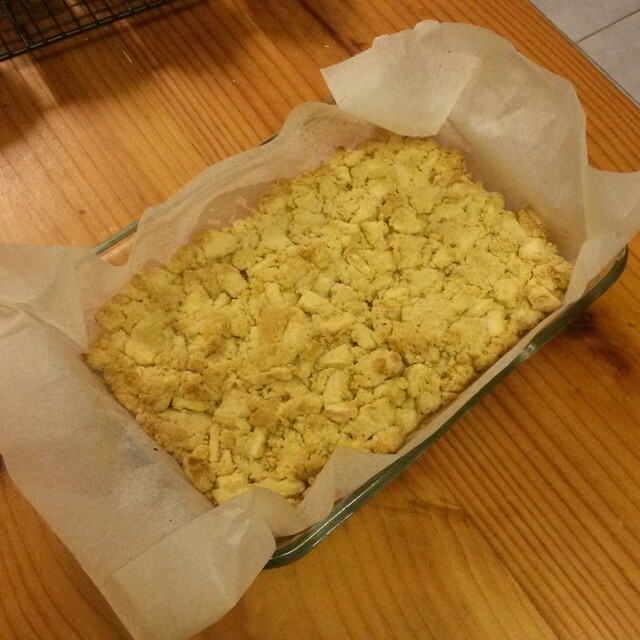 But I decided that Sugar-Free September should be a household-wide experiment. Matt was fairly enthusiastic. The children, predictably, were less so. We started out well, with honey and apple muffins in their lunch boxes. Finding breakfast cereals they liked without sugar was a particular challenge, and there was NOTHING in ALDI that fit the bill. We ended up going to Woollies for Vita Brits for Rohan, while sourdough toast and vegemite was Callum’s breakfast of choice. Most breakfast cereals, even ‘healthy’ ones with wholegrains, are loaded with added sugar. My own breakfast is usually a kefir smoothie, with fruit and grains. But sugarless breakfasts can be fun too. On weekends we had sourdough pancakes with banana and goats cheese, or bacon and eggs. So many ways to have a yum breakfast without the sugar. School lunches were fairly easy to conquer, but the wheels fell off on Footy Day, when the PFA gave out donuts. This was the first real taste of deprivation for the boys. Callum bravely declined to order a donut, only to have his teacher set a task involving counting and comparing different colour M&Ms. He ended up giving his share of lollies to a friend. Rohan ordered a donut, probably hoping I wouldn’t bring the subject up, and after much soul searching and actual tears he gave his donut to a friend. Nobody died. We had apple crumble and cream that night for dessert. What the boys did have trouble with, was telling people why they were declining certain foods. Having to say no to lollies or cake on the school bus was a particular issue for them. Callum reported that some of his friends were ‘being dicks’, waving sweet treats under his nose, but some of them were really good about it. The more supportive kids were the ones he handed his sugary contraband to. Right in the middle of the month, Rohan attended a sleepover party. We talked ahead of time about what he would do, and I told him to just be mindful and see what options he had. There were no sugarless drinks supplied. Dinner was a barbecue, which he filled up on, but he didn’t want to turn down birthday cake or miss out on a toasted marshmallow. Otherwise he mostly ‘ate heaps of chips’ and left the lollies alone. When asked about it, the boys reported ‘resisting temptation’ as the most difficult thing about going sugar free. They found it easy enough to avoid sugar at home, but much more of a challenge when at school or out and about. They were surprised at how many everyday foods had added sugar. But going forward, they both think they will eat less sugary things. Matt found it fairly easy, for the most part, and was able to stay away from the vending machines at work. I don’t know what the scales have to say, but he definitely looks like he has lost some weight. For me, it was quite a challenge feeding everyone. It is pretty easy to go sugar-free on your own, but keeping a family satisfied without refined sugar takes some thought and preparation. Breakfast and lunchbox options needed to be re-examined. A hedgehog slice or choc-chip cookies, even home made ones, are full of sugar. The sourdough bread is unsweetened, but breadmaker recipes use sugar as an important ingredient which can’t just be left out. Sugar-free recipes tend to also be dairy, egg and gluten free. I have no quarrel with wheat flour, and milk and eggs are a big part of our diet. Finding recipes that swapped out refined sugar without getting too far away from the basic recipe was not at all easy. Some I managed to adapt by myself. Some of the natural/organic/raw/paleo type recipes were complete disasters. The honey and apple muffins turned out great. The excellent sugarless chocolate recipe I was given, while high in fat, made a great chocolate substitute and was a very satisfying snack that could knock the munchies on the head with a couple of bites. Turning a household away from refined sugar permanently would be a huge challenge in this world of fast food, basics that are unnecessarily sweetened and lollies as rewards. I think despite the tears and frustrations we all learned a lesson and got a bit of a look at just how big a place sugar has made for itself in our society. Getting my kids to believe that natural fats are good for you, but sugar is bad for your health has not been easy when the media and food marketing continue to use ‘99% fat free’ to suggest that certain foods are healthy, even if they are mostly made of sugar. Tomorrow we will go out for ice-cream, I might even have some, and that will be another lesson in the experiment. Will the kids go sugar mad now that Sugar-Free September is over? Or will we all carry that niggling thought that maybe we should put down that chocolate bar, have an apple instead of a muffin and enjoy the natural sweetness and flavour of unsweetened foods?